Gianluca’s Gift: How One Man’s Death can Change a City - Tavares Group Consulting Inc.
Gianluca’s Gift is a non-profit organization that supports local youth initiatives in the Regional Municipality of York. The non-profit began in 2016 as a single softball tournament organized by Gianluca’s friends to raise funds for a local youth program in commemoration of his tragic death. Two years later, the initial idea has developed into something much larger. Gianluca Cellucci was a political science graduate with plans to become a police officer. He was enthusiastic, kind, generous, and a passionate social justice advocate. As a tribute to Gianluca’s life and character, his mother, sister, and friends established Gianluca’s Gift. The non-profit organization hosts an annual gala and softball tournament to raise funds for 360° Kids and The Character Community Foundation of York Region, two charitable organizations that support local youth. 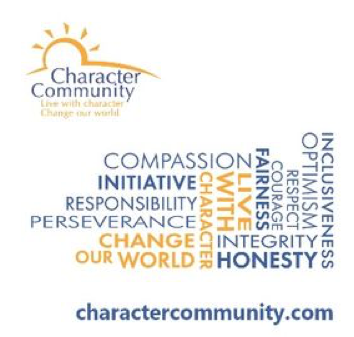 Character Community provides programs and initiatives that foster positive character development in children, youth, and adults. The 2017 Gianluca’s Gift Gala was the largest donor in Character Community’s history. Joanna Liokossis, Gianluca’s mother, says she was overwhelmed by the response and money raised, “all because of him.” Proceeds from the gala benefited the Slap Shot Hockey Program offered to York Region students from low-income and immigrant families. Proceeds from the gala also established The Gianluca Cellucci Memorial Award, given to students who exhibit character traits that Gianluca possessed. Tavares Group Consulting is a proud supporter of the 2018 Softball Tournament to be held on Saturday, June 23. 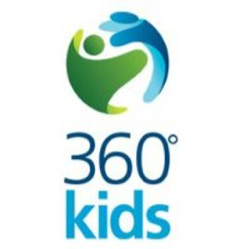 Proceeds support 360° Kids, whose mission is “to help youth overcome crisis and transition to a state of safety and stability.” Businesses and individuals who donate to the tournament support 360° Kids initiatives that include two residential homes and a daily drop-in centre, plus the vision for an additional residential home and healthcare vans so kids have regular access to medical attention, including prescription lenses and dental care—basic needs many kids take for granted. The 2017 tournament raised over $20, 000 which will fund Gianluca’s Northern Camp Adventure for four years. Gianluca loved the outdoors, and the camp program gives kids in the residential homes the chance to experience a three-day nature adventure. According to Liokossis, businesses have opportunity to make an impact beyond financial support. Gianluca had the opportunities in his life to develop a strong character and accomplish his goals. Gianluca’s Gift seeks to create those same opportunities for all youth in the York Region. Liokossis expressed how gratifying is to see the lives of individual youths changed for the better, and to see so many young people involved in the sports tournaments and galas, all in honour of Gianluca. She says, “I want for him to never be forgotten. I did this because of Gianluca … because of the person he was.” Motivated by love, Gianluca’s Gift has an impact on local youth that will ripple throughout the larger community. Community engagement is a critical component of an active sustainability program. It can include community development, philanthropy, and volunteerism. Has your organization incorporated a commitment to community into your sustainability program? If you’re looking for more ways to grow in that area, consider contacting one of these wonderful community organizations to become involved.